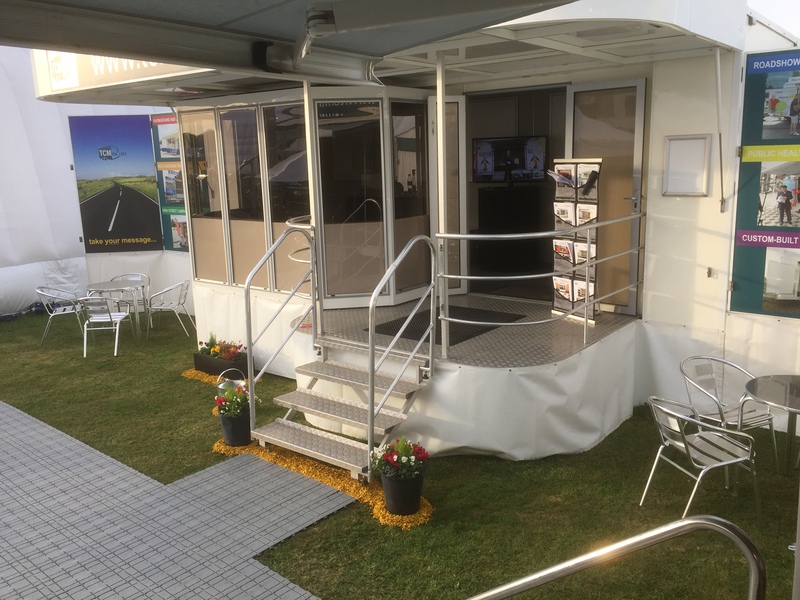 At the back of our stand we had T101, one of our 2 new Hospitality units which was great for providing a dry and warm seating and kitchen area. It was a perfect space to take clients for coffee and cake over trailer talk. To find out more about the services we offer, call the office on 01543 255452. This entry was posted on Tuesday, October 27th, 2015 at 3:44 pm	and is filed under Uncategorized. You can follow any responses to this entry through the RSS 2.0 feed.You can leave a response, or trackback from your own site.